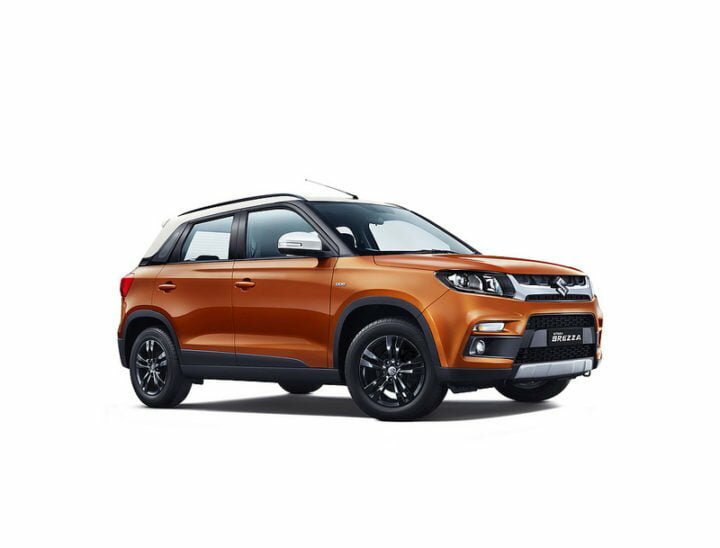 The popular Maruti Suzuki Vitara Brezza Sub Compact SUV has clocked more than 3 Lakh units of sales since its launch in 2016. It currently falls in the developing sub-compact SUV segment, which offers SUV stance with a smaller cabin. According to Maruti, Brezza is the fastest SUV in the country to cross this record. The sub-compact SUV segment is a growing segment because it offers SUV type driving with tall stance but a relatively smaller cabin. The SUVs in this segment come with fully loaded features and some of the SUV features. Amongst these SUVs, one of the most popular is the Maruti Suzuki Vitara Brezza. Now, the SUV has sold over 3 Lakh units, since its launch in March 2016. It has achieved average monthly sales of over 12,600 units in past 5 months, the growth of more than 25% against same period last year. According to the reports, Vitara Brezza market had a share of 43% in its segment in 2017-18. Currently, the Vitara Brezza runs on the old 1.3 Litre DDiS diesel engine. The 1248cc engine produces around 88 BHP @ 4000 RPM worth of power and 200 Nm worth of torque. Also, it received a minor facelift with a new Auto-Gear Shift variant this May. In the facelift, it also received standard fitting of dual airbags, reverse parking sensors, high-speed alert and ABS with EBD. Also, it received some cosmetic upgrades like black alloy wheels, new paint schemes, all black interiors and a dual-tone colour scheme. The Maruti Suzuki Vitara Brezza does not feature a petrol engine but is expected to get one in 2019. The earlier speculations were of this year, but Suzuki is developing an in-house 1.5 Litre Petrol engine, that might come in this petrol variant. So we expect it to launch by mid-2019. However, it is likely to continue with the 1.0 Litre Boosterjet Petrol, which is already available in the Baleno in European markets. There, the engine is compliant with Euro VI Emission norms. Also, the Boosterjet engine produces power figures similar to Ecosport’s 1.2 Litre Dragon Petrol and Nexon’s 1.2 Litre Revotron. The SUV is mated to a 5-speed Manual gearbox and a 5-speed Auto Gear Shift. The mileage recorded of the car is around 24.3 KMPL with a fuel capacity of 48 Litres. Well, Maruti has not compromised on this SUV, when it comes to features. Features on the exterior include LED DRLs, Projector Automatic Headlamps, Rain-Sensing Auto Wipers and LED tail lamps. On the interior, it gets Automatic Climate Control, Touch Screen Infotainment with Android Auto and Apple CarPlay, Rear Air Con Vents and Electric Back Door. For performance, it gets Cruise Control, Start-Stop Button and AGS variant. For safety features, it gets ABS with EBD, Dual Airbags, Reverse Parking Sensors with a camera, High-Speed Warning Alert and a rear Demister. Currently, the Maruti Suzuki Vitara Brezza starts from Rs 7.28 Lakhs and goes up to Rs 9.77 Lakhs (ex-showroom Delhi). It currently competes with Ford Ecosport and Tata Nexon. The prices for the petrol variant are expected to rise because it will get more features too. Expect the SUV to launch by Mid-2019 for a price of Rs 6.5 Lakhs to Rs 9 Lakhs (ex-showroom).